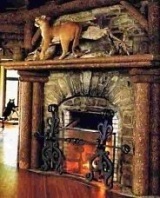 Celebrity Fireplaces . 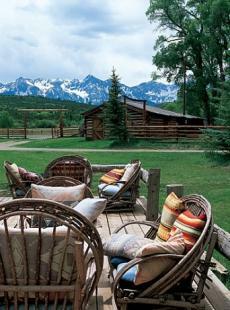 . . Rustic & Casual Designs! 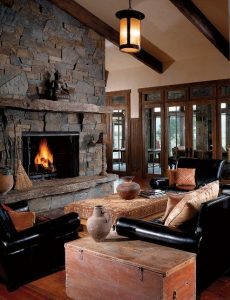 The celebrity fireplaces featured here range from rustic natural stone hearths crafted from rugged blocks and rocks in pristine mountain settings . 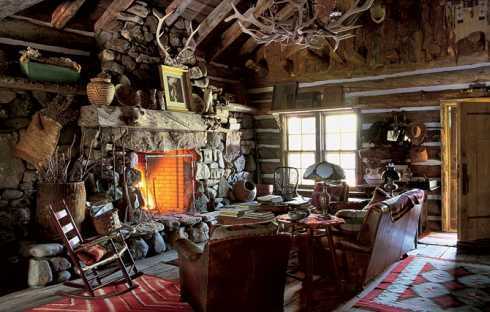 . . to fireplace surrounds made from split-faced stones in less remote areas of the countryside. 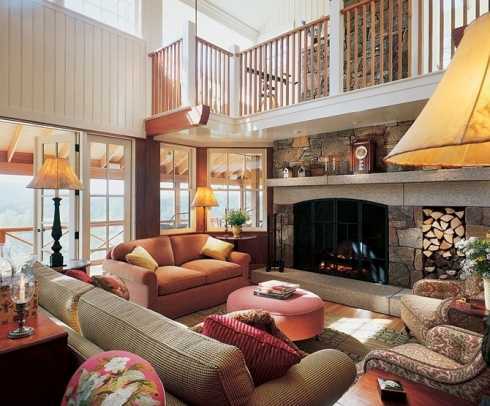 Though the designs vary widely in appearance, each has a commanding presence! 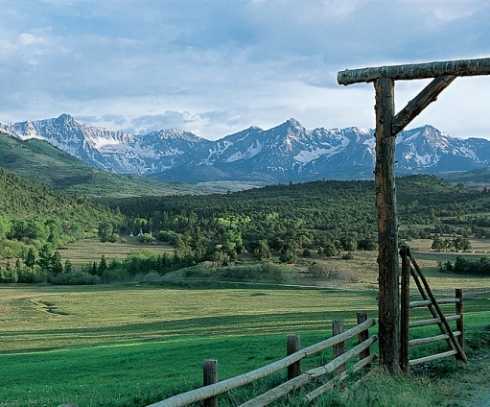 Pictured above, at right, and below is the Colorado ranch of designer and fashion icon, Ralph Lauren. 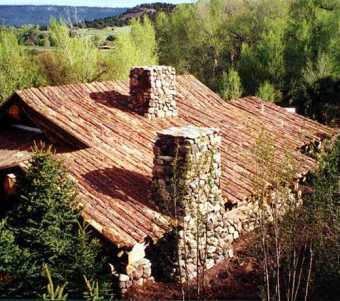 Spectacular for both its scenic setting and its rustic architecture, it epitomizes the weekend retreat or vacation getaway! 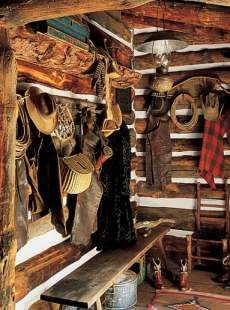 The three images that follow only hint at the rugged beauty of the rustic cabins and outbuildings on the ranch . 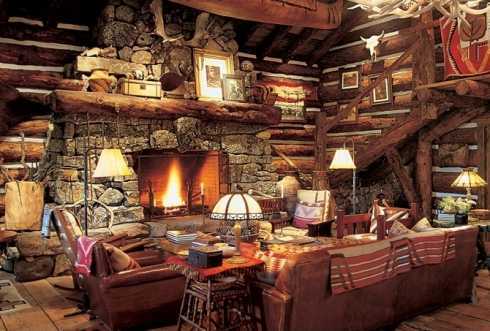 . . and its incredible surroundings . . . . .
. . . as do the extraordinary stone fireplace designs in the main lodge, pictured below! 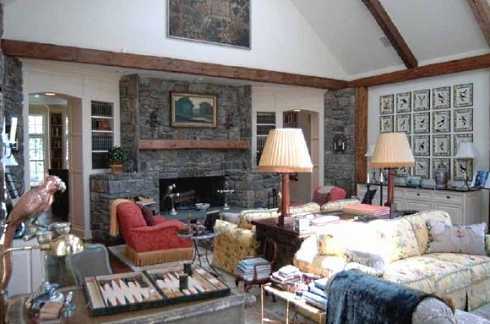 Heading to the east coast, we get a peek at the stone fireplaces in two more celebrity homes. 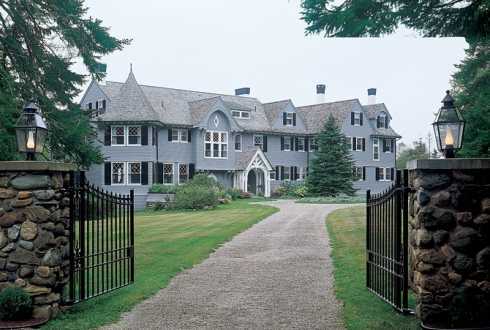 Located in Maine, the rambling Shingle Style home pictured below is owned by John Travolta and his wife, Kelly Preston. 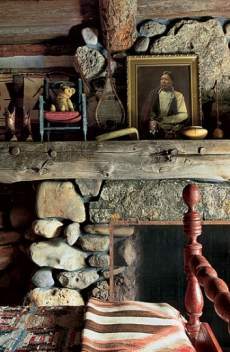 The rustic fireplace pictured at right is one of several fireplaces in the Victorian-era home. 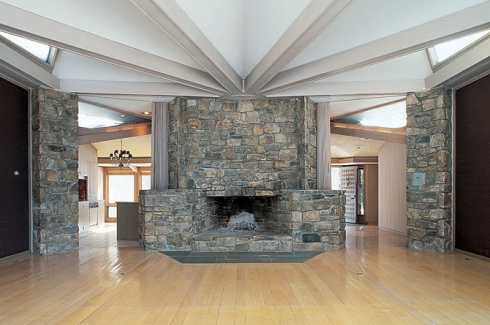 The soaring great room fireplace pictured at right and below anchors the New England home of actor Michael J. Fox. 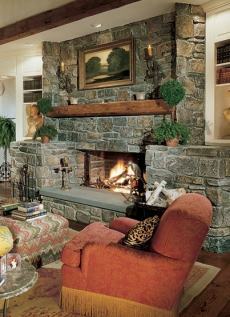 Note the contrasting color and texture of the extended dimension stone mantel shelf. known Hollywood actors. 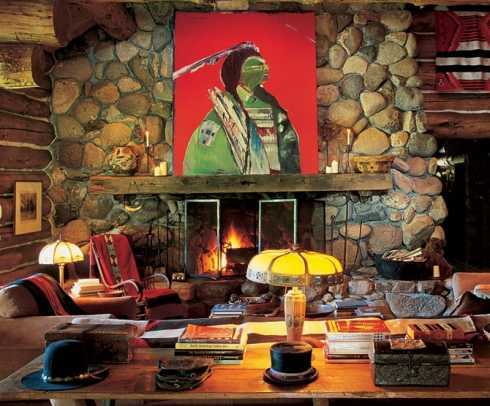 The floor-to-ceiling stone surround pictured below, left, is a striking focal point in the living room of Dennis Quaid's Montana home. 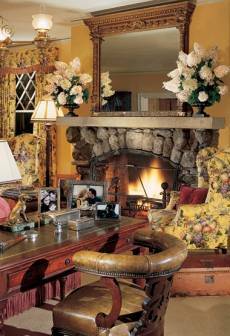 Below, right, the rustic stone hearth provides a perfect complement to the country chic interior of Angelica Huston's California home. 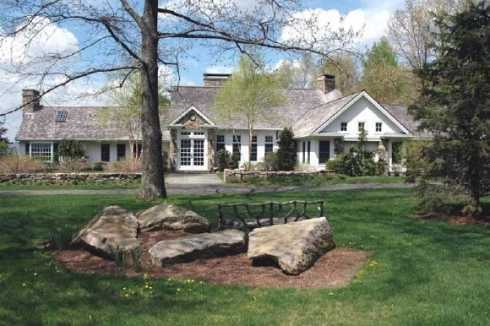 is in the Milford, Connecticut home (bottom) of comedienne Joan Rivers. 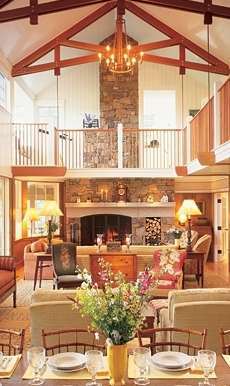 It's overall massing and configuration give this stone masonry design a commanding presence in the room! 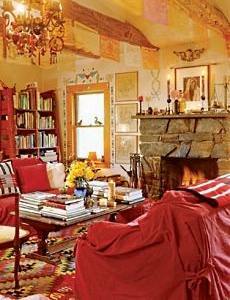 See Joan Rivers' Spectacular Manhattan Apartment! Please check back often or subscribe to our RSS feed, as we fre- quently add new images of celebrity hearths to our site.